Do you have an emergency road kit? It could be a live saver if you do. It would be a collection of items necessary during a stay beside the road at unexpected times. A good thing to start with is a flashlight and batteries for it. Another great item would be a fire extinguisher. Add to that a cell phone charger for your cell phone for emergencies. Some fresh, unopened bottled water could be a life saver, along with some nonperishable snacks to go with it. A portable radio with fresh batteries could keep you informed if your car radio goes out. Road flares could help you guide traffic in the right direction if you are in trouble. There are also reflectors that might work just as well. A first aid kit with a number of items might save someone’s life. Look into bandages, scissors, gauze, antibacterial cream, and such to put in the first aid kit. 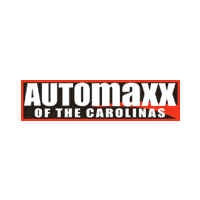 If you need to look into getting another vehicle because of these unforeseen circumstances, we can help you here at Automaxx of the Carolinas in Summerville, SC. You can look through our Pre-Owned inventory and find a vehicle that is both affordable and reliable to be your next vehicle. 0 comment(s) so far on How About a Reliable Emergency Kit?